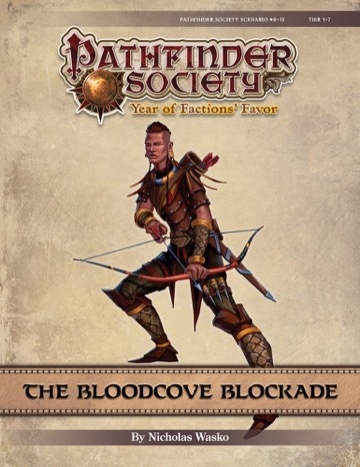 Contents in "The Bloodcove Blockade” also contribute directly to the ongoing storyline of the Exchange faction. Kamentwati is doing this, don't care if he goes low or not. He needs to do this mission. i don't think it's your fault, Don. this scenario isn't just poorly written, the organization of it just bites. like if the party has x from encounter 6, this can affect encounter 2. they're trying to sandbox it and just fail. Tricky plan you say... you mean like we are going to Bloodcove so let's all wear a bronze badge?